I bought the Ulta3 Nail Colours for AUD $1 each at a sale! 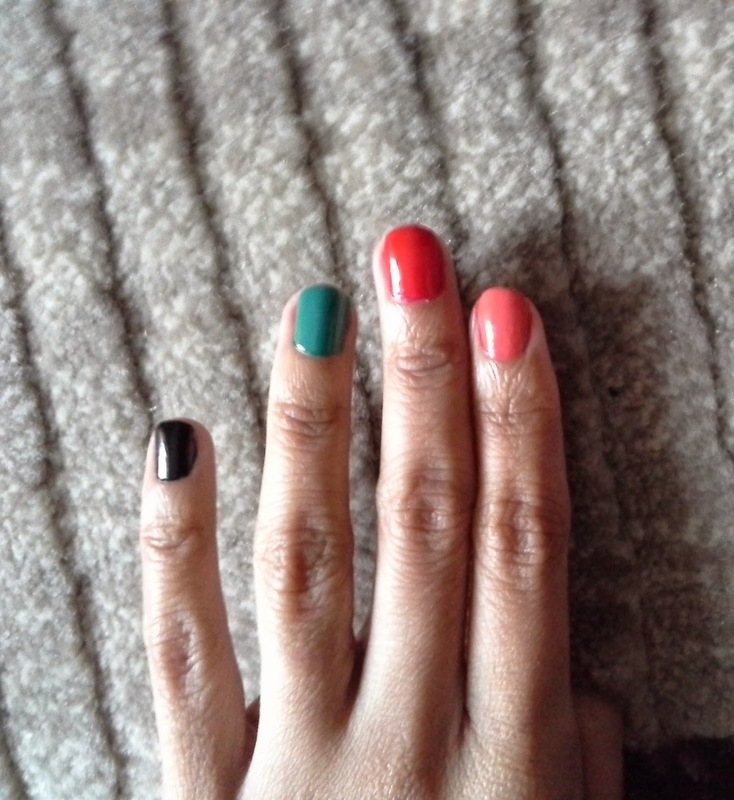 I picked up 4 shades- Sizzling Red, Mermaid Green, Black Satin and Watermelon. These nail paints are made in PRC. Each bottle of nail paint contains 13 ml / 0.44 Fl Oz of product. I think for $1 it was an absolute steal !